Oleoyl glycine (OlGly), a recently discovered fatty acid amide that is structurally similar to N- acylethanolamines, which include the endocannabinoid, anandamide (AEA), as well as endogenous peroxisome proliferator-activated receptor alpha (PPARα) agonists oleoylethanolamide (OEA) and palmitoylethanolamide (PEA), has been shown to interfere with nicotine reward and dependence in mice. Behavioral and molecular techniques were used to investigate the ability of OlGly to interfere with the affective properties of morphine and morphine withdrawal (MWD) in male Sprague–Dawley rats. Synthetic OlGly (1–30 mg/kg, intraperitoneal [ip]) produced neither a place preference nor aversion on its own; however, at doses of 1 and 5 mg/kg, ip, it blocked the aversive effects of MWD in a place aversion paradigm. This effect was reversed by the cannabinoid 1 (CB1) receptor antagonist, AM251 (1 mg/kg, ip), but not the PPARα antagonist, MK886 (1 mg/kg, ip). OlGly (5 or 30 mg/kg, ip) did not interfere with a morphine-induced place preference or reinstatement of a previously extinguished morphine-induced place preference. 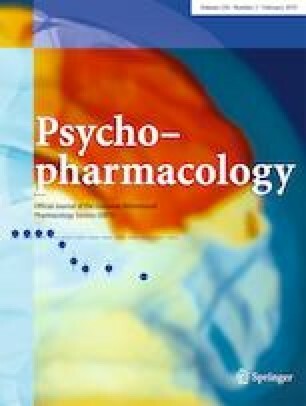 Ex vivo analysis of tissue (nucleus accumbens, amygdala, prefrontal cortex, and interoceptive insular cortex) collected from rats experiencing naloxone-precipitated MWD revealed that OlGly was selectively elevated in the nucleus accumbens. MWD did not modify levels of the endocannabinoids 2-AG and AEA, nor those of the PPARα ligands, OEA and PEA, in any region evaluated. Here, we show that OlGly interferes with the aversive properties of acute naloxone-precipitated morphine withdrawal in rats. These results suggest that OlGly may reduce the impact of MWD and may possess efficacy in treating opiate withdrawal. Gavin N. Petrie, Kiri L. Wills and Fabiana Piscitelli contributed equally to this work. GP, KW, ER, MS, and AH performed behavioral experiments. FP and VD performed the molecular analyses. RS and RM synthesized OlGly. CL prepared all drugs and collected all tissues. GP, KW, AL, VD, RM, and LP designed the experiments and wrote the manuscript. The research reported here was funded by research grants from the Natural Sciences and Engineering Research Council (NSERC 920157) and the Canadian Institutes for Health Research (CIHR 388239) to LAP, NIH grants R01DA039942, P30DA033934, and VCU School of Pharmacy start-up funds to AHL. All animal procedures were approved by the Animal Care Committee of the University of Guelph and adhere to the guidelines of the Canadian Council of Animal Care.